1. We had a casual New Year's Eve celebration. We ordered pizza, got into our pajamas and just hung out. My word for the year is simple. It was definitely a simple and relaxing evening. Of course, being that girl that has to get up to work during the week at 4:30, I crashed at 10 PM. I heard Keira screaming happy New Year at midnight. PS. It took me two cups of coffee to manage to stay up to 10 PM. 2. Faith's horse is warming up to us. She was abused, so she's skittish. She's starting to beg for food when she see's us. Stella (Faith's horse) loves to lick you like a dog. As long as you let her lick your hand, you can manage to pet her with your other hand. I've been trying to go see her once a week. 3. In March, we've been at our new home for two years. We've redone the great room, painted the kitchen and the front room. Also, redesigned both of the girl's rooms. Two of the bathrooms I'm happy with. The third bathroom is retro and needs some love along with our bedroom. So, Matt is finishing up our bedroom remodel. 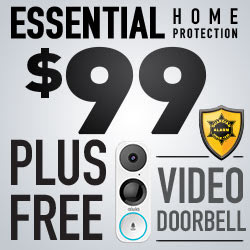 I love the light gray shade I selected. I can't wait to see how it all comes together. 4. It's been so cold here in Michigan. I have been hibernating. 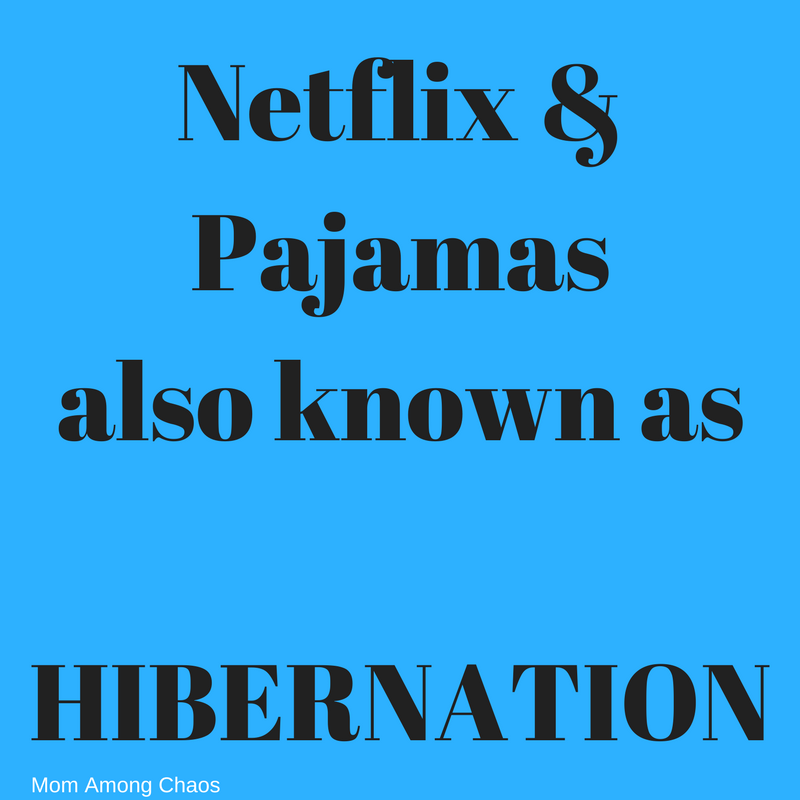 What is hibernating? 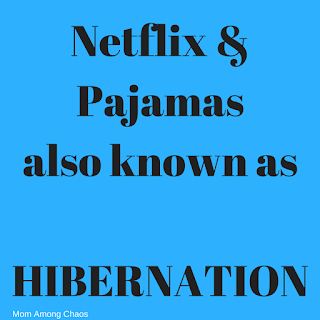 It's known as Netflix and pajamas! Yes!! I just started Season 4 of Jane the Virgin, and I'm looking for a new show. Any recommendations, please stick them in the comments. 5. I get bored with my workouts and then guess what happens? I stop working out. 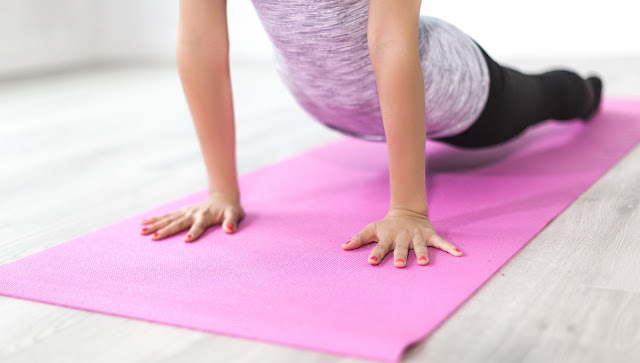 I was no longer enjoying my Maximized Living workouts, and I've been craving yoga. I quickly realized my body had changed and I have lost a ton of flexibility. I started back doing Yoga With Adriene which I love because you can find a video for just about any time you can manage to squeeze in. I've been trying to get in 20-30 minutes daily plus the other 15-20 minutes I do for my chiropractor. My shoulders have been sore buy whoo hoo that means muscle!